Yes, traveling in a ham-heavy country like Spain can be difficult for those who are vegan and vegetarian—but it’s not impossible! You don’t have to miss out on Galicia’s glorious gastronomy just because you don’t eat meat or other animal products. In fact, it may just be one of the best places in all of Spain to follow a plant-based diet, given that Galicians take as much pride in their premium produce as they do in their cuisine as a whole. 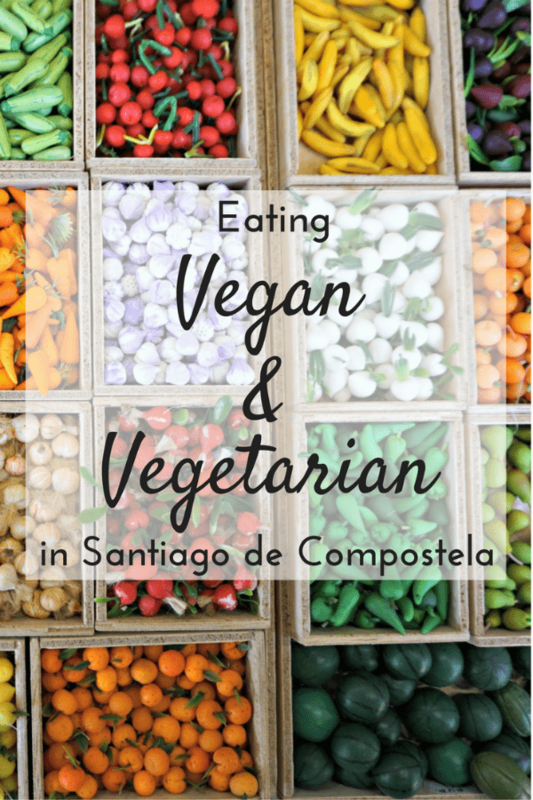 The ingredients at most restaurants are so fresh and locally sourced that they give new meaning to the “farm-to-table” movement, so needless to say that when it comes to eating vegan and vegetarian food in Santiago de Compostela, the local gastro scene has you covered. Here are just a few standouts. 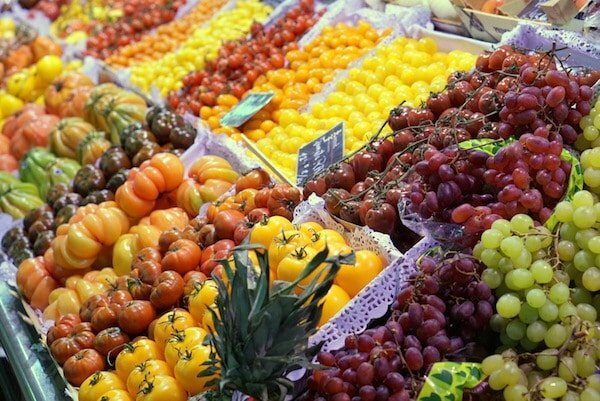 Galicia is overflowing with gorgeous produce! According to locals, Entre Pedras hits the three B’s: bueno, bonito y barato. In other words: it’s good, nice and cheap. 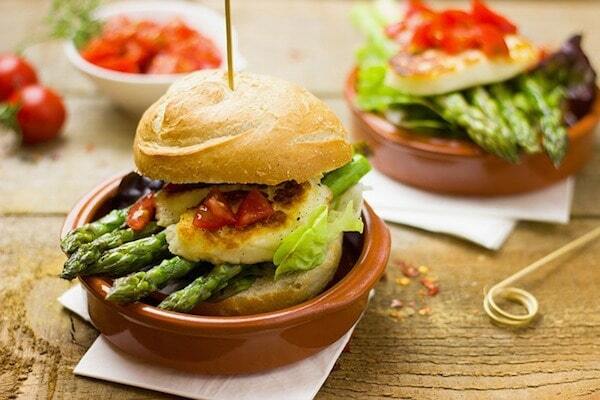 Their menu of vegan and vegetarian burgers, including tasty varieties made with lentils or nuts, are served in hardy portions to ensure satisfaction. Here, they know how to mix complementing flavors, as evidenced by their unique toasts and wraps. Located just north of the Old Town, this is an essential stop when looking for vegan and vegetarian food in Santiago de Compostela! 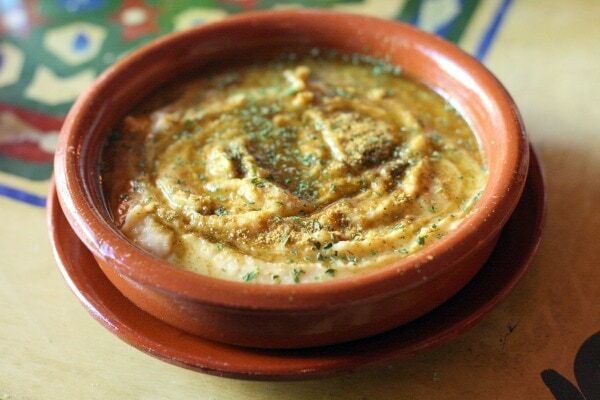 There’s nothing quite like hummus topped with fresh spices! For typical Galician dishes with a Middle Eastern twist, this is your place! Located on the southern edge of the Old Town, Malak Bistro serves up fusion vegan, vegetarian and gluten-free dishes like no place else in Santiago de Compostela. They feature ingredients like chickpeas, tofu, rice and couscous and spice things up with saffron, turmeric, thyme, cumin and curry. Definitely a bit more exotic than your traditional Galician food and a great choice for vegan and vegetarian food in Santiago de Compostela! With five locations around Galicia, Galipizza has become a local favorite by way of their outstanding, uniquely Galician pizzas. If you’ve been traveling a while, you might be sick of eating pizza as it’s often an easy vegetarian option. But Galipizza is worth the stop! They pile their pizzas high with fresh vegetables, from common pizza toppings like pepper and mushroom to original toppings like turnip greens, wakame seaweed, asparagus, and broccoli rabe (Galicians have a unique obsession with broccoli rabe). This is also a great place to go if your travel companions do not have dietary restrictions. With a variety of other pizzas, pastas, burgers and local dishes on the menu, there’s something for everyone. 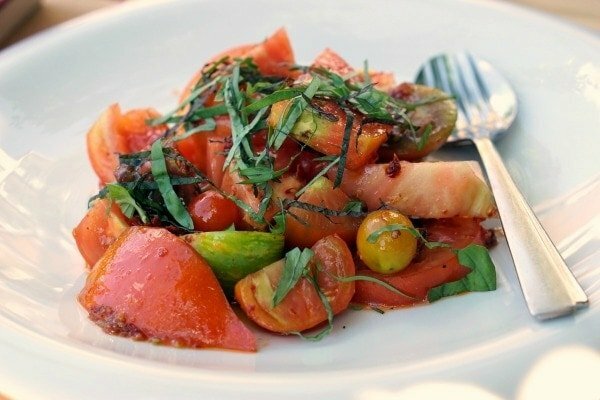 Produce in Galicia is so fresh and natural that a simple salad like this tastes like a treat! A chic, artsy restaurant just north of Santiago’s Old Town, Hervor e Fervor proves that you don’t need to sacrifice ambiance to have a good meal! They use premium quality ingredients to create original vegan and vegetarian dishes including hummus and olive tapenade, toasts, and creative potato gnocchi recipes. With a lovely waitstaff and talented owners, this is also a great place to sit and enjoy an infusion or a cocktail. For a gourmet foray into creative vegan and vegetarian food in Santiago de Compostela, Manso offers options that will please, and even surprise you. In order for them to accommodate your dietary restrictions, you must reserve and let them know ahead of time. Their excellent, beautifully presented food is worth a little bit of planning ahead! This small tavern located in a hidden plaza on a side street is an oasis of vegan and vegetarian food in Santiago. The popular vegetarian prix fixe menu at A Tulla costs just ten euros and features a range of options, from spinach dumplings to rice “meatballs.” The menu changes according to what’s in season, and their terrace is ideal on a nice day. Their non-vegetarian/vegan fare is done equally well, for those who will be dining with meat-eaters. TS A Casa specializes in light fare like veggie burgers and toasts, as well as simple tapas like hummus and vegetable plates. They also feature a variety of fresh fruit juices and smoothies. The marvelous staff and cozy vibe will make you want to hang out here all day! 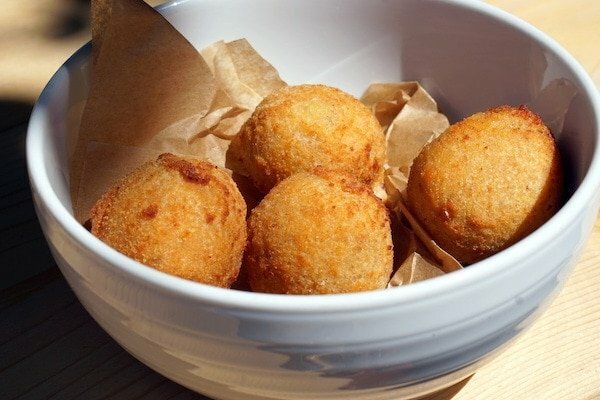 See Also: Don’t miss the complete vegetarian guide to Santiago de Compostela, or these five tasty vegetarian tapas you need to try while you’re here!